this beautiful mess: To Bake or to Blog? I've been getting too much lovin' from my oven this summer. It makes no sense to me because with no air conditioning, who turns on their oven? Not smart, Britt. Now that I have a bigger kitchen, it has set free all kinds of devilish thoughts--particularly as I browse through food blogs. Their wickedly delicious photographs of treats are going to destroy me. Add on top of that, freshly picked local fruit and what do you have? A busy Britta baking like a Betty. I can only hope I'm going through a phase. Because sharing is what blogging is all about, I'm listing some recipe links of baked goods I've made the past two months. 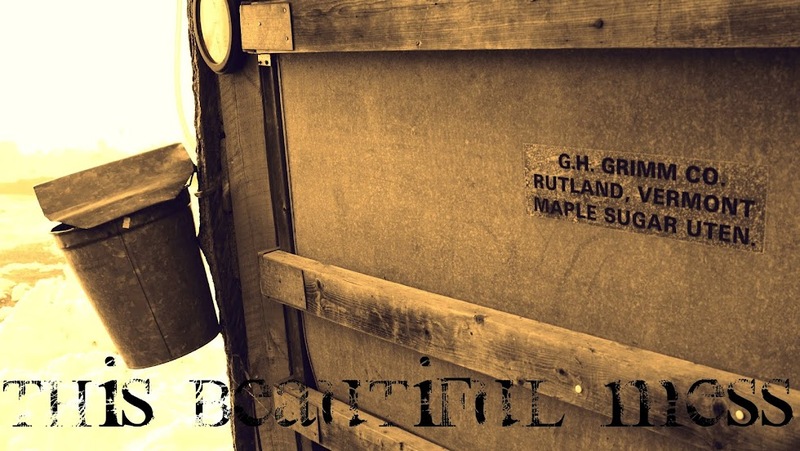 New England Pandowdy. Pandowdy is a type of berry cobbler with maple syrup...please use the real stuff, okay? Blueberry Lemon Muffins. I am a blueberry convert. For some reason, blueberries taste soooo good out here. Whole Wheat Apple Muffins. I used a tart apple for these--a perfect marriage for cinnamon and sugar. Craisin White Chocolate cookies. All because white chocolate is the bomb diggity dawg. 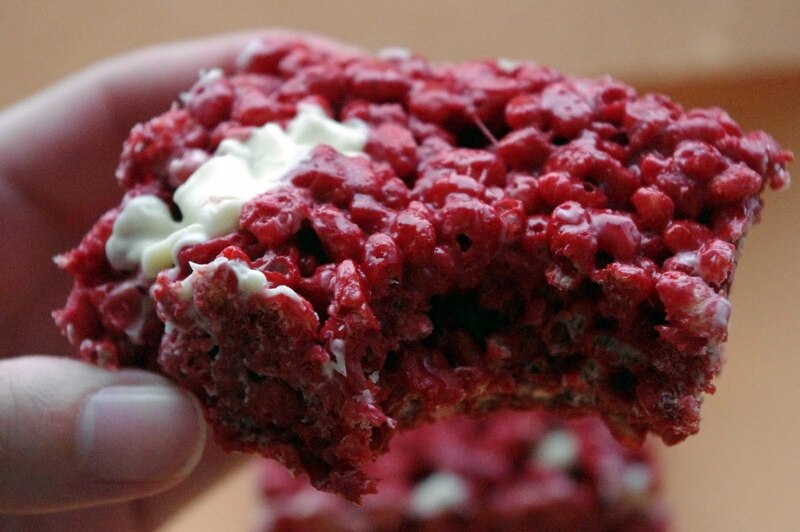 Red Velvet Rice Krispie treats. Red Velvet Cake lovers, beware. I am still hunting for a favorite bread recipe. I wasn't kidding when I said I'm striving to memorize one and bake it weekly. When the cooler weather kicks in, I plan to be more devoted to that goal. My hopes get shot down each time I find a recipe that asks me to put the bread dough in a mixer. And I'm forced to believe that my kneading techniques are sub-par. Maybe it's time I bite the bullet and get a KitchenAid. If you think it's too early to turn your oven, I'll have you know that Red Velvet Rice Krispies are your friend. Just sayin'.